This is a 10 week project for the annual Microsoft Design Expo in collaboration with 6 other classmates. The topic for 2016 was "Achieving Symbiosis and the Conversational User Interface (CUI). My role involved in research, interview, ideate, prototype, conduct usability testing, and edit video. More than half who start learning an instrument quit within the first two years. Mystro is a personal music coach that helps aspiring musicians achieve their musical goal. Mystro is platform-agnostic, and manifests itself through devices with ears and voice. Mystro creates a positive and constructive environment, understands skills and goals of musician to structure a realistic timeline, and adjust to musician’s learning style and schedules to help achieving those goals. We explored potential CUI applications, potential problems, and advantages, as well as defined what language meant to us. We think music is a form of conversation and expression similar to learning a language in written and auditory form. We have conducted several interviews with people of various levels of music experience, including educators and students to learn what aspects deterred people from learning music. We asked questions about their initial interaction with music, how that has evolve through time, learning styles, and pain points during their music experiences. 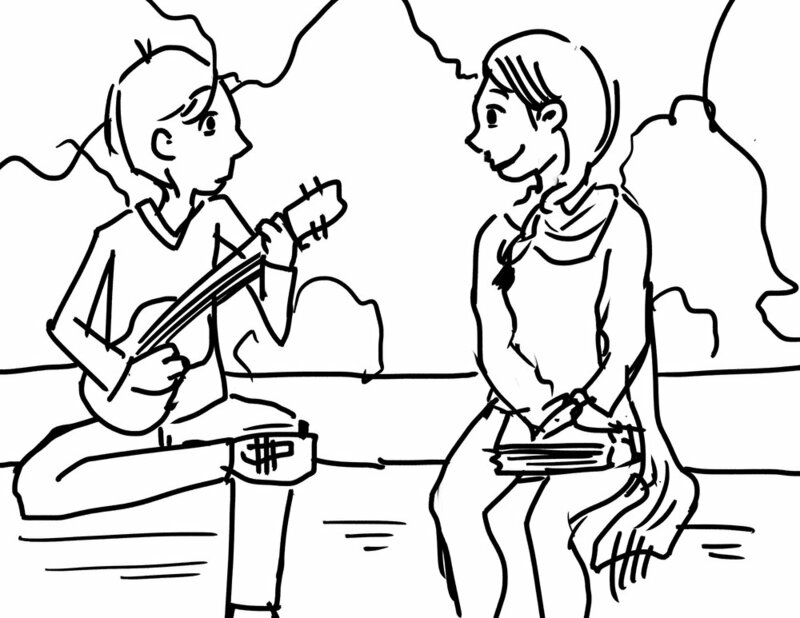 We also looked into the existing music softwares that help people learn music without a private instructor. How does it all starts? Is it a product you buy? How would a user first encounter Mystro? What form does it take? Is it a pod that comes with an instrument you buy? We realized that a physical form doesn't contribute to the experience and also creates a portability barrier. So Mystro is platform agnostic, and lives on devices with ears (auditory input) and a mouth (auditory output). How does Mystro know when is appropriate to speak? 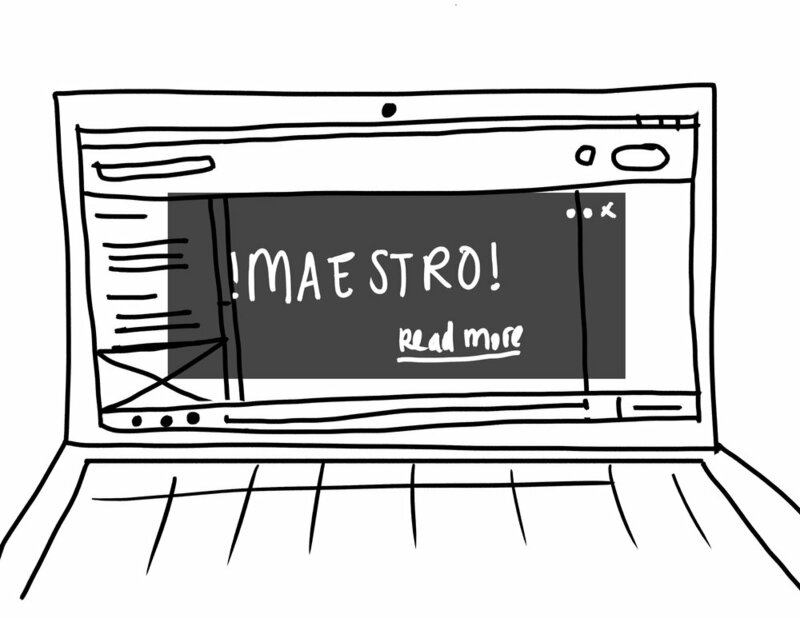 How intrusive is Mystro in a musician's life? This is where Artificial Intelligence comes in. As Mystro is actively listening to surrounding sound, contextual awareness capability allows Mystro to know it's okay to comment on the music at a cafe, or give feedback after band practice is over. We tested out “Wizard of Oz” prototype and tried to learn the instrument ourselves. Group members with music education background acted as Mystro trying to teach the student group member on the other end. We learned a lot of constraints using only voice and occasions when showing visual supplements would be beneficial such as how to hold an instrument. The positive feedback found across all prototype participants all surrounds these three elements, Encouragement, Assessment, and Adaptability. Mystro needs to create a positive and constructive environment, understand musician's skills and goals and structure out a realistic timeline to meet those goals, adjust to musician based on goals, learning style, and schedule. We put our persona into a use case to film for our video prototype showing how Mystro fits into a user's life. Jack, a new freshman at college wants to impress Hannah on his dorm floor. He knows that she helps organize the end of quarter talent show. Jack has previously tried to learn the ukulele on his own (YouTube and friends) and doesn't have the money to pay for private lessons. He hears about Mystro on Spotify and begins his journey with Mystro. Unfortunately, school picks up and and Mystro adjusts practice sessions. 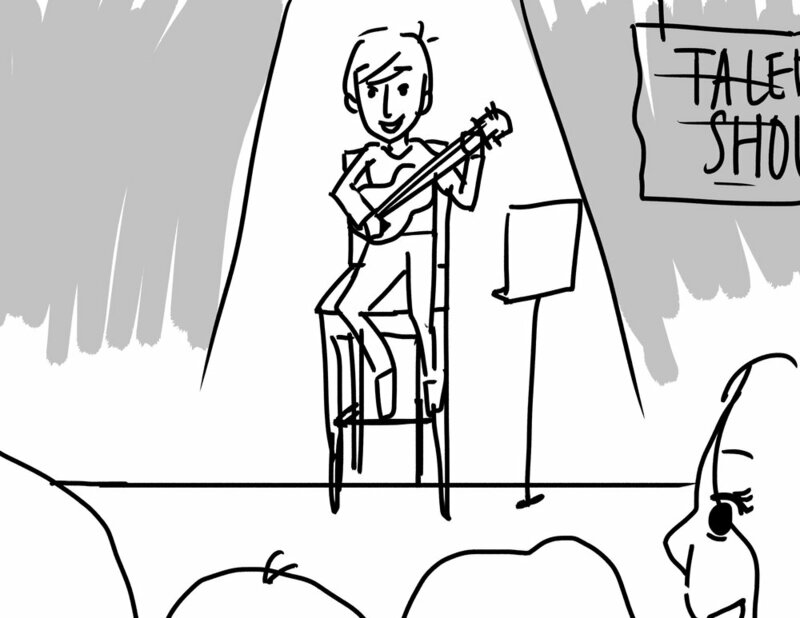 Jack eventually plays at the talent show, only to find out Hannah is already with another guy. 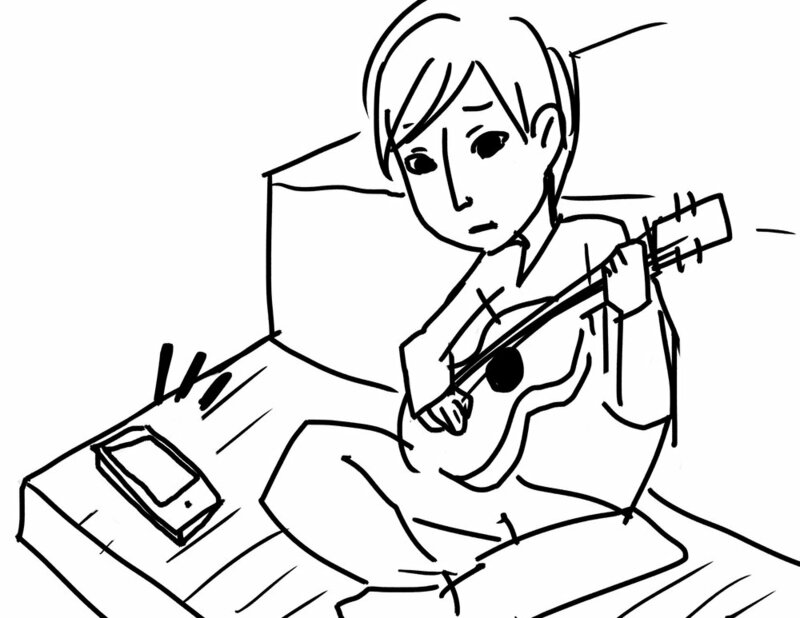 He continues to play music with Mystro, and eventually meets Emily, who also is learning how to play the ukulele. We modified our approach with phrasing, and tested on people who has no prior knowledge of the project. While Mystro can see the student, student would only be provided visuals during instruction to assist learning. The feedback were very positive. Everyone had fun, learned some new techniques, and want to practice all the time with it.